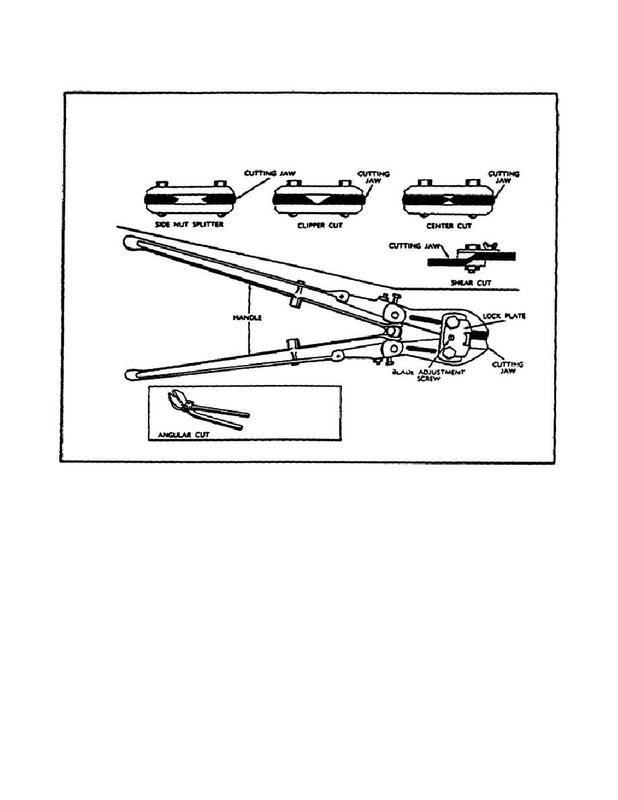 Home > Ordnance Documents and other related manuals > > Clipper Cut Cutters. TYPES OF BOLT AND NUT CUTTERS. are in line with the handles and beveled almost entirely from one side. These cutters permit very close cutting of projecting ends. and 3/8 inch rod, 5/8 inch bolt and 1/2 inch rod, and 3/8 inch mild steel. cable, strip or flat bar stock. capacity with a 36 inch long handle.